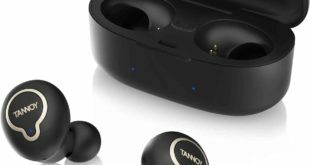 Today we share our review about the new Wavefun wireless headphones called Wavefun Fit with a twist on the battery capacity and the super bass of the brand as we already know. Wavefun always makes good quality headphones in terms of ergonomics, and the quality of sound transmission. 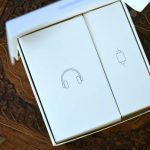 The design and functionality of these headphones recall the earlier Flex model. Significant differences from this are the earbuds and quite a low price. Wavefun Fit comes with a white box made of cardboard, absolutely not safe, we do not like it all. Inside there are 2 other boxes: one for headphones and a special pocket case; 3 pairs of removable ear tips, 2 sets of ear hooks, a pouch and USB cable. 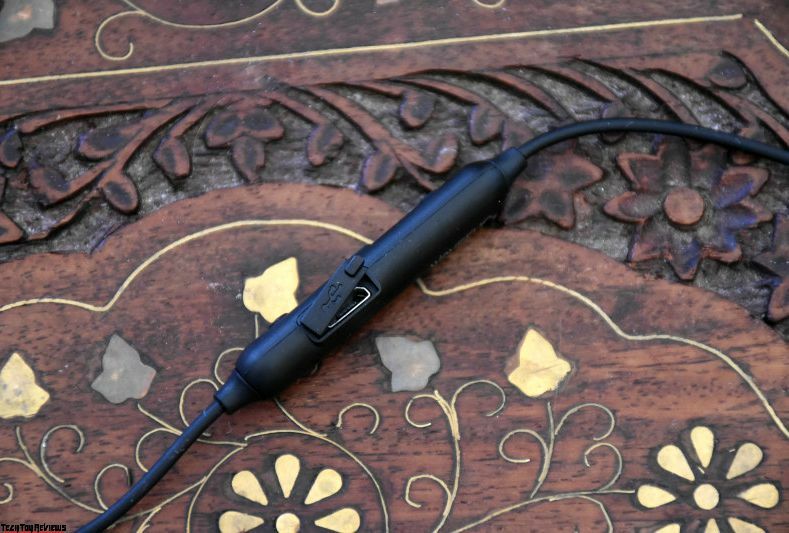 A very short micro USB cable without an adapter, soft silicone ear tips will collect dust), sufficiently thin silicone ear hooks, convenient fabric pouch, the size is sufficient to fit the headset freely. The lock is classy and very comfortable. 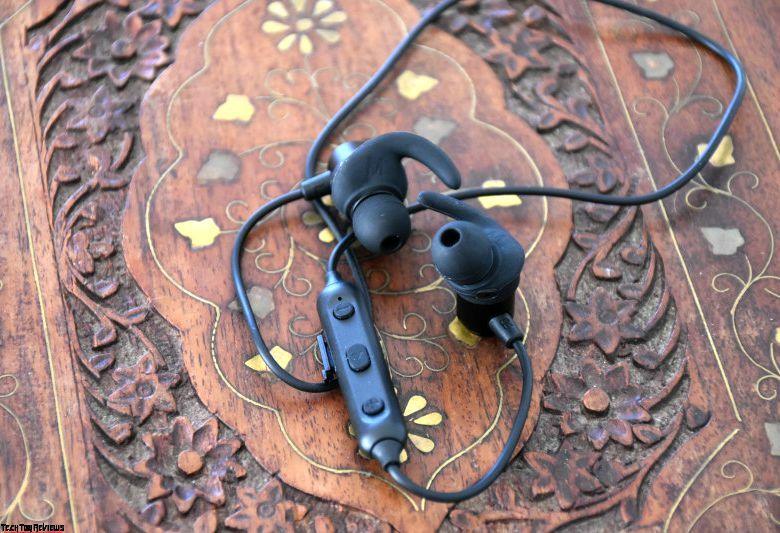 Wavefun Fit Headphones have a classic appearance, a rather inconspicuous design, nothing superfluous: black, miniature sizes and no flashy emblems. Very discreet and tasteful. To such a headset you do not have to choose the appropriate style in clothes, they are universal. 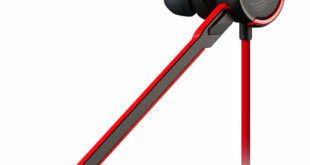 The headphones are painted in metallic black and top outer edge with a thin chrome ring. Earbuds, as well as the ear hooks, are fitted very tightly and attached to the ears. The headphones are identical except for one of them comes with a microphone. 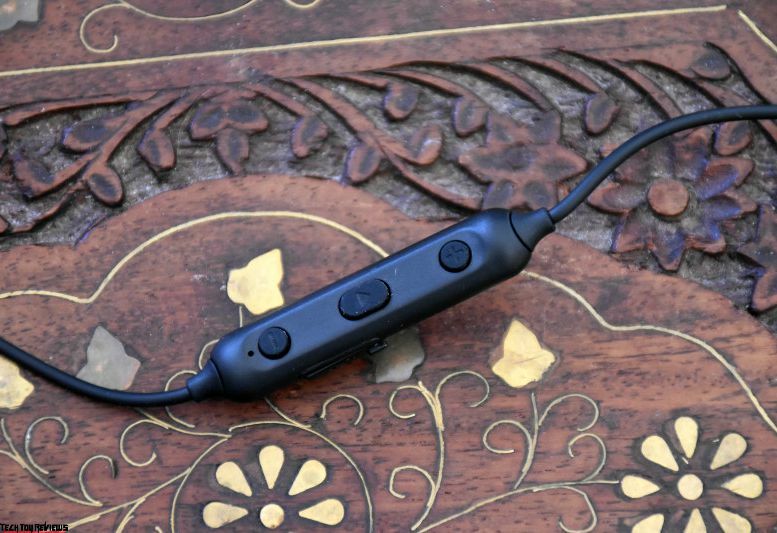 Near the right earpiece on the cable at a distance of 6cm is a classic remote control with volume buttons, play/pause button, charging port hidden under a tight silicone plug, and microphone. An interesting feature of these headphones is its magnetic design. We really like this function in the wireless headphones. Very easy to control and pairing with a mobile device. Bluetooth range is quickly and loses contact only at a distance of 10 meters without obstacles. The operation mode is classic: long press the ± buttons to skip tracks, and one time press will adjust the volume. You can also adjust the volume using the paired device. 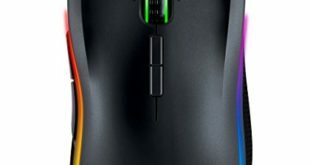 The middle button is responsible for the play/pause modes. The button can be pressed by a gentle press, the volume level is high, varies by tracks. When the volume level is reached, a voice signal with a voice confirmation is issued. The maximum sound does not cause inconvenience, as in the previous model. The sound quality is good. We loved it when we have a lot of basses. And, listening to songs in which we had not noticed basses before, was pleasantly surprised by the powerful echoes somewhere in our body part. The sound is clean even at maximum volume, no defects were heard. To switch to the “Siri” mode (iOS), it is necessary to hold both + and – buttons simultaneously. The system will inform you about the pairing and will ask you to voice the request. 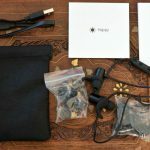 When we tested the WaveFun Fit headphones in this mode – we did not feel any difference, except that the sound and audibility are better, without echoes when using iPhone. You can also receive an incoming call by pressing the middle button, when double pressed, it re-dials the last outgoing number. At the end of the call, playback is continued automatically, almost without delay. The LED indicator is always on. When turned on – flashes alternately blue and red. When the connection is established, during the playback of the tracks, the same indicator flashes blue at regular intervals, reminding that the headphones are in operation. When turned off, it lights red for a while. WaveFun Fit headphones come with three 3 pairs of ear tips, and you will definitely pick up your size. And this is a guarantee of quality sound and good noise insulation. Listening to the max volume in complete silence, the sound from the headphones is barely audible to those around. The company also positioned the WaveFun Fit as the Sports headphones and we also agree that they are quite suitable for playing sports: soft ear hooks are fitted easily, and there is also a choice to pick them individually, it helps to stay headphones in the ears during a moderate physical load. Headphones do not twitch in the ear, and the sound is not lost. There is also IPX5 certification, which means it is splash and dust proof. We like to repeat about the sound – it’s cool! clean, natural, and the main thing – bass. This is not a loud bass that gives you a headache, but a soft and qualitative low sound! 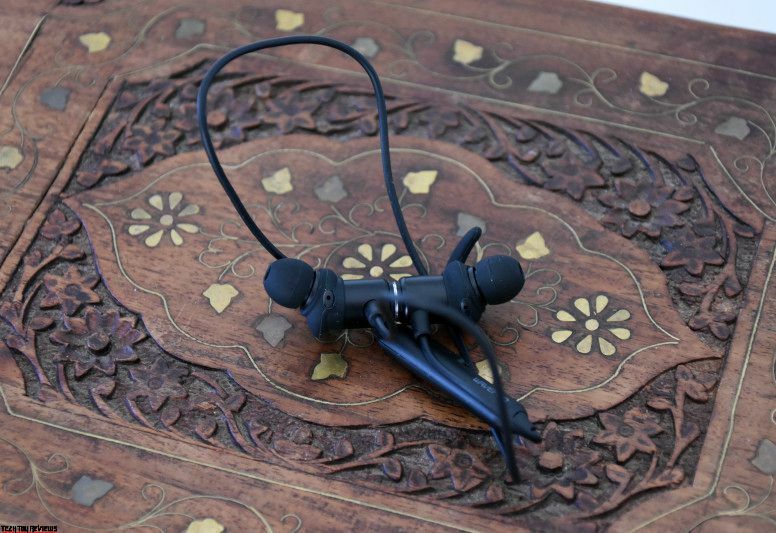 We used WaveFun Fit headphones with the Android 7.0 system and above. The battery is rated to last 8 hours on a single charge, but since we were using the headphones at high volumes all the time, we managed about 5-6 hours. This is still not bad for a Bluetooth headphone. It takes roughly two hours to fully charge them from zero. When the battery is very low, you get voice prompts every few minutes to charge it. The WaveFun Fit Sports Bluetooth headphones is a simply crafted headset that looks and feels very sober. 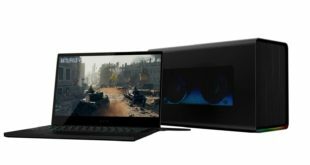 The sound quality is good, the mid-range sometimes gets lost in certain tracks. Bass is handled very well though; it’s tight and controlled and never distorts, even at high volumes. Battery life is also very good and we do not feel any conveniences with connectivity. 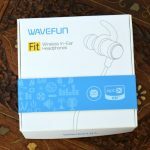 Above all things, we really enjoyed using the WaveFun Fit and at just $20 we can’t ask for more. If you are really looking for a pair of Bluetooth headphones, go for this one and it can be purchased via Aliexpress store which ships globally.